From July 1-6, over 3,000 of the top Special Olympics Athletes in the USA will gather in Seattle to participate in the fourth-ever Special Olympics USA Games. From sports competition and special event assistance, to emergency management and behind-the-scenes operations and logistics support, volunteers of every skill and experience level are needed. 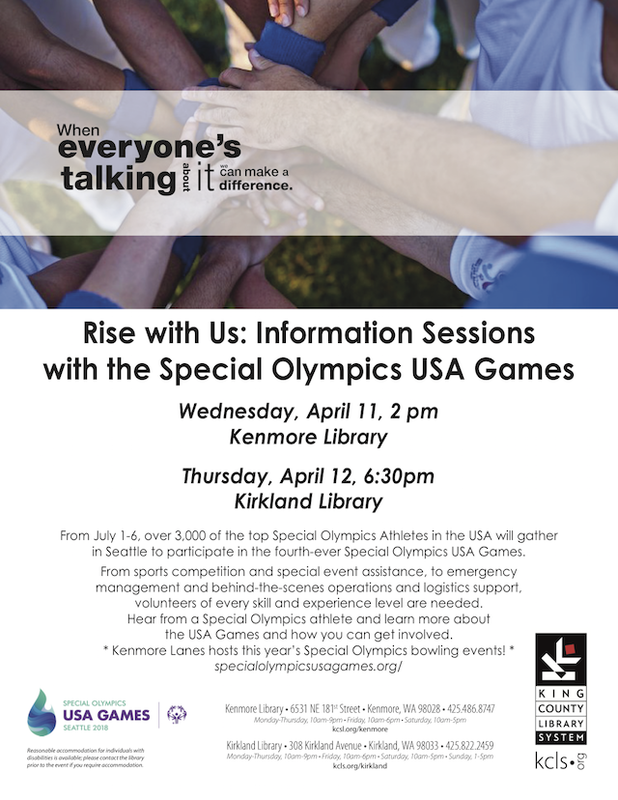 Hear from a Special Olympics athlete and learn more about the USA Games and how you can get involved. Kenmore Lanes hosts this year’s Special Olympics bowling events!